Thomas Lazur is an “enthusiastic” and “technically astute” senior junior who is “a pleasure to deal with even in the most highly pressurised circumstances”. He is highly recommended for energy & natural resources, shipping and general construction work by Chambers UK Bar, Chambers Global and The Legal 500. He has a particularly commercial outlook given his background in investment banking and strategy consultancy. Thomas has worked on disputes arising out of a wide range of significant construction projects both in the UK and internationally, most recently handling disputes in the Far East and Middle East. His traditional construction projects have ranged from domestic building disputes up to the world’s tallest building, the Burj Khalifa in Dubai. He has extensive experience of infrastructure projects including the XRL tunnelling project in Hong Kong, the Cambridge Guided Busway, and various other highways and utilities projects. Much of his practice is devoted to energy related projects including the decommissioning of the Magnox nuclear power stations in the UK, oil and gas power stations, and alternative energy production facilities including solar, energy-from-waste, and biomass power plants. He also has extensive experience of pharmaceutical and petrochemical processing facilities. His shipbuilding work includes various vessels used in the oil and gas industry and the world’s largest super yacht, the White Pearl. 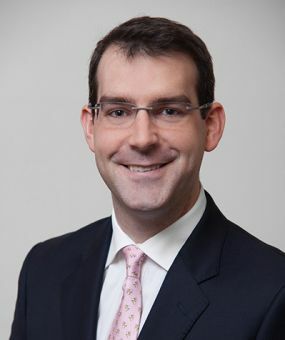 In addition to his work as counsel, Thomas is a Fellow of the Chartered Institute of Arbitrators (FCIArb), a TECBAR accredited adjudicator, a certified mediator, and an Advocacy Trainer for the Inner Temple. He also holds a Diploma in International Arbitration. Represented the claimant contractor in high court litigation involving a professional negligence claim arising out of the design of an energy-from-waste plant in London. Represented the defendant main contractor in an LCIA arbitration concerning the construction of a gas-fired power station in the Caribbean. Represented the claimant engineering company in an ICC arbitration dealing with a dispute arising out of the sale, refurbishment and storage of turbomachinery. Represented the main contractor in high court litigation concerning the design and build of a solar plant. Represented the claimant on a professional negligence claim concerning the design of a biomass energy plant. Represented the defendant energy company in a final account claim ICC arbitration related to design works for a Flue Gas Desulphurisation project in Eastern Europe. Represented the contractor in a final account dispute related to a Flue Gas Desulphurisation project in Wales. Represented owners, buyers and shipbuilders in several international arbitrations arising out of the construction, delivery, maintenance and hire of offshore drilling rigs and other support vessels for the offshore oil and gas industry (see Offshore Construction). Represented the shipbuilder in an arbitration over contractual disputes that arose during the construction of a superyacht. Represented the claimant shipyard in an ICC arbitration dealing with disputes arising out of the construction of two semi-submersible drilling rigs. Represented the buyer in an ICC arbitration dealing with disputes arising out of the late delivery of a semi-submersible drilling rig. Represented the builder in an arbitration dealing with disputes arising out of a defective offloading buoy. Represented the owner of a drilling vessel in an arbitration concerning it’s maintenance during a period of hire. Represented the owner in a dispute over the operation of a slug suppression system for a North Sea drilling platform. Represented the owner of a dredger in an ICC arbitration concerning the termination of a short-term lease for the vessel and a claim for liquidated damages. Represented the employer in high court litigation concerning the refurbishment of a restaurant as part of a larger residential housing development. Represented the architect in high court litigation concerning the thermal design of a residential housing development. Represented the main contractor in the High Court in a dispute over letters of intent and claims of fraudulent misrepresentation following the failure to award a final design and build contract for a project in Battersea, London. Represented a demolition contractor in a final account claim in the High Court arising out of a development in Piccadilly, London. Represented the Claimant in the Coop v Birse litigation concerning various defects at a distribution centre in Rugby. Represented an agent in a commercial court litigation involving the procurement of building contracts from the Libyan Government for Malaysian principals in Libya. Instructed in an ICC arbitration, representing the main contractor in a final account dispute with the employer over the construction of a highway in Qatar. Represented the main contractor in a claim related to secret/hidden profits in the development of a spa hotel in South East England. See also the examples of recent work under the Energy and Offshore Construction headings. Represented an architect in high court litigation concerning the thermal design of a residential housing development. Represented the main contractor in high court litigation regarding a claim for negligent design of a CCTV system against a subcontractor / supplier. Represented the architect and employer in several disputes concerning the design and supervision / contract management of domestic building projects. Thomas has a Diploma in International Arbitration and is a Fellow of the Chartered Institute of Arbitrators. "He is easy to work with, relates well to clients and produces a high-quality work product." "He boasts impressive instructions on major infrastructure projects, both domestically and internationally." "He's a very bright guy, good at working as part of a team, and provides good analysis of the case." "He is a man of great perception and attention to detail." "His commercial acumen allows him to provide sensible advice that clients understand." Keating on Offshore Construction and Marine Engineering Contracts – Contributor. Keating on Construction Contracts 9th Edition, 1st Supplement (2013) – Contributor. Keating on NEC3 David Thomas QC (2012) – Contributor. Keating on Construction Contracts 9th Edition (2012) – Researcher. Bullen & Leake & Jacob’s Precedents of Pleadings 17th Edition (2011) co-author of Section H: Construction. Keating on Construction Contracts 8th Edition, 1st Supplement (2008) – Researcher. Author of course materials for the CEM Diploma in Adjudication, The College of Estate Management. External Advisor to the Programme Approval Panel for the Masters in Law for Construction Professionals, University of the West of England. Contributory Author for the Practical Law Company.